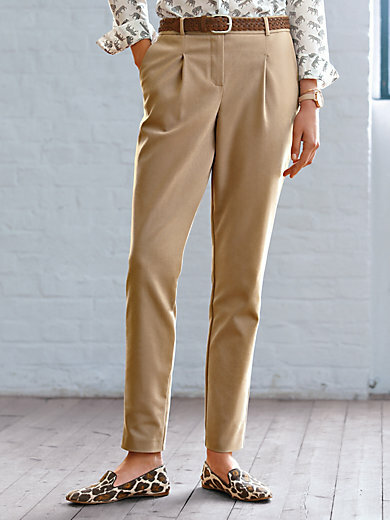 Trousers by LOOXENT in classic chino style. Stretch micro cotton. Slanted side pockets. 2 front pleats and mock back pockets. Belt not included. 97% cotton, 3% elastane. Inside leg length approx. 31 ins. Ankle width approx. 13 ins. The trousers are machine washable.